2019 has barely begun and an unknown account as appeared to accomplish the unthinkable: become the most-liked photo on Instagram. So what kind of celebrity could be behind such a behemoth post that's garnered over 30 million likes through the course of 10 days? Is it Selena Gomez drinking another bottle of Coke, hoping to reclaim her title? Nope, there's no celebrity behind this. No brand pushing a new item. The most-liked photo on Instagram has become a simple image of an un-cracked egg that may or may not be a stock photo from somewhere. Instagram account @world_record_egg posted a photo on January 4 of a simple brown egg over a white background. In a matter of days, the photo gained an inconceivable number of likes for an account that's essentially a newcomer, eventually surpassing previous record holder Kylie Jenner's 18 million likes post of her newborn, and then doubling it in a day. 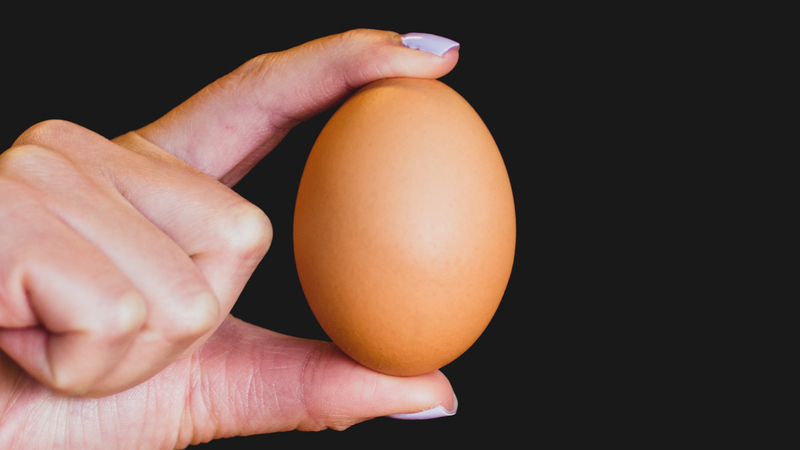 At the time of publication, the egg photograph had more than 36 million likes on Instagram, with it expected to climb even higher in the days to come. What's funny is the @world_record_egg doesn't have any previous posts before the egg photo. In fact, the entirety of the account seemed to be based around beating Jenner's record. This can't be the first time an account has attempted to set the world record for likes, but something about this egg has cracked the Instagram algorithm for success. We'll do some digging to see if there's a story behind this phenomenon. In the meantime, the egg photo is gaining about 1 million likes each hour since yesterday as a sort of a snowball effect of success. Perhaps in a few days, Jimmy Kimmel will announce to the world that he's secretly running this account. Perhaps.